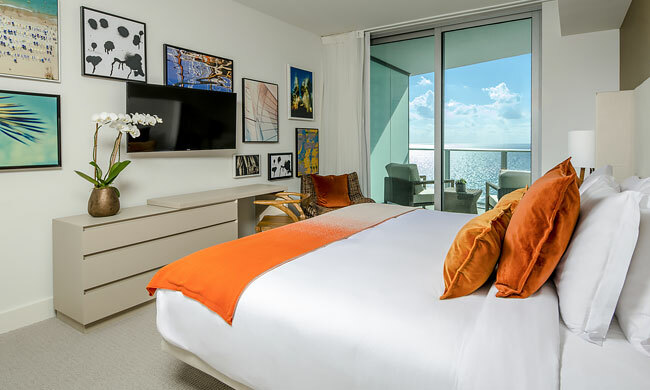 South Florida’s newest luxury high-rise beachfront resort, and AAA 4 diamond awarded Hyde Resort & Residences in Hollywood is an all-suite resort overlooking the shimmering Atlantic Ocean. 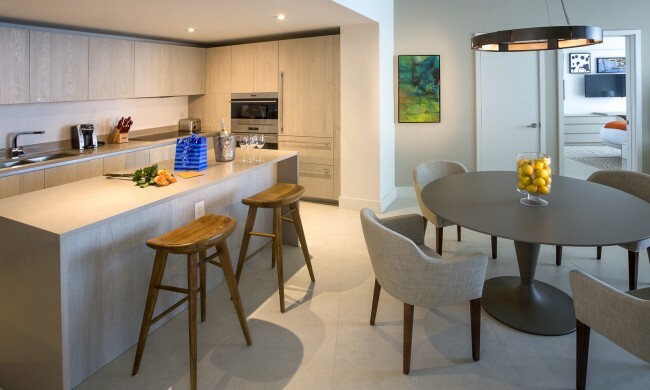 Perfect for a family getaway, our well-appointed one-, two- and three-bedroom suites mix natural wood and stone with organic textures and state-of-the-art technology. 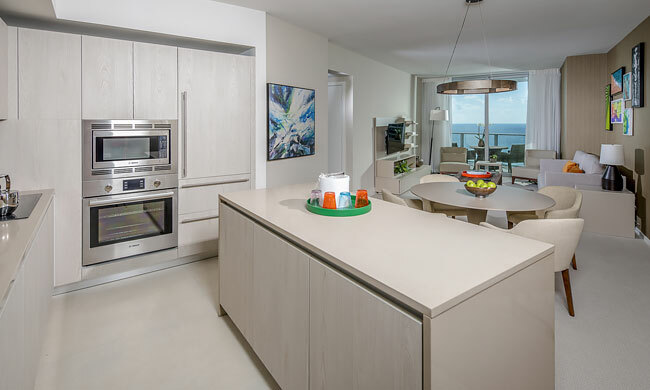 Highlights include floor-to-ceiling sliding glass doors to private furnished terraces, fully equipped kitchens with stainless appliances and granite counters, and in-suite washers/dryers. 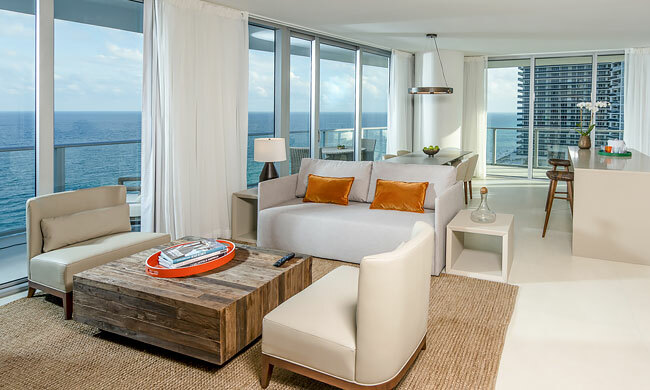 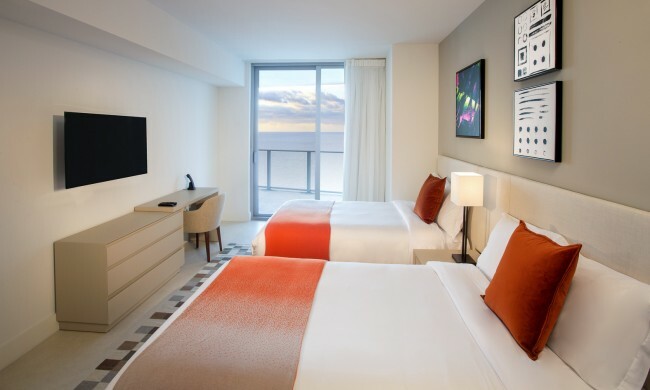 Ideal for families or friends traveling together, our two-bedroom suites are soothing and sophisticated spaces with open floor-plan living areas furnished with contemporary European designer furniture and wall-mounted LED “smart” televisions. 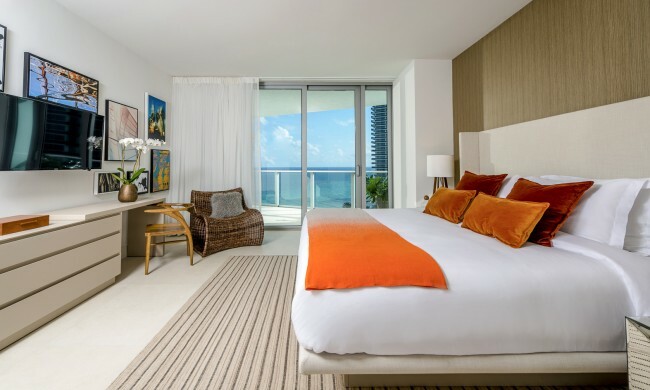 Each bedroom has a king bed finished with highest-quality linens. 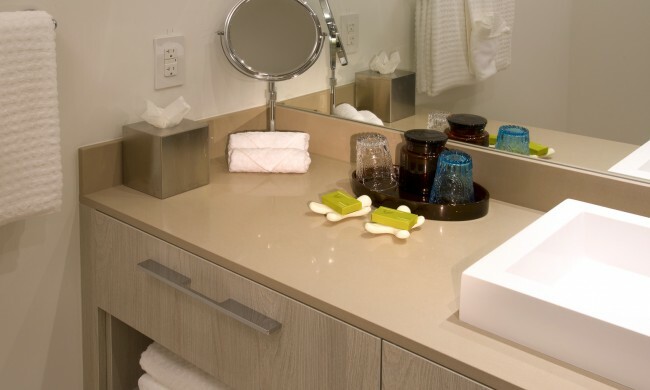 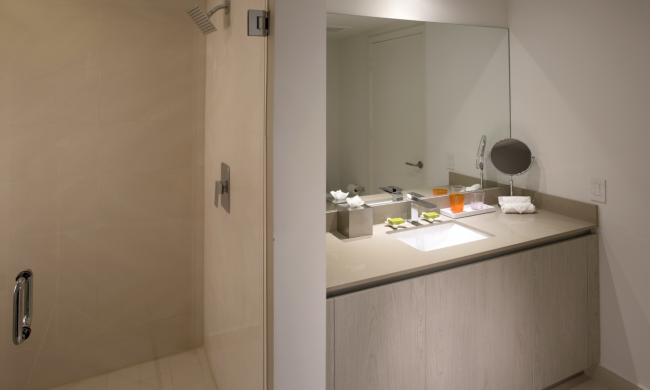 Bathrooms have soaking tubs, glass-enclosed showers and designer fixtures. 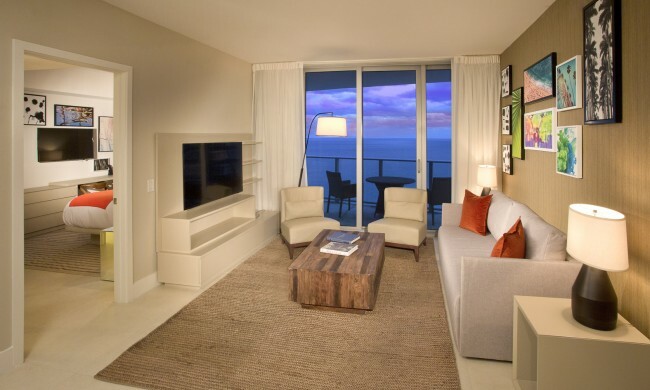 Our most spacious accommodations, these seaside retreats are perfect for families. 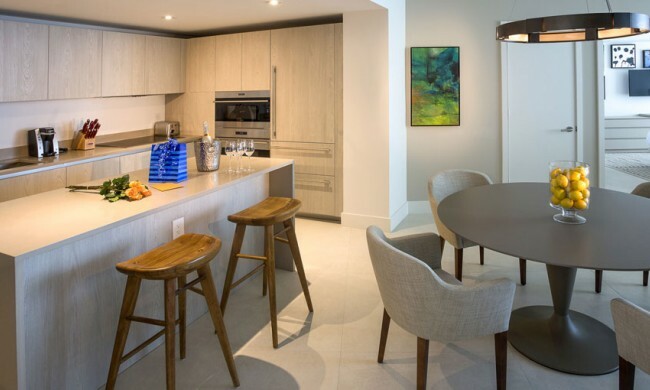 Featuring three stylish bedrooms in soft, sandy hues accented by warm wood and luxe upholstered furnishings, they have an open-floor plan with a chef-caliber kitchen, living room with contemporary European designer furniture, dining room with seating for six, and atmospheric lighting throughout. 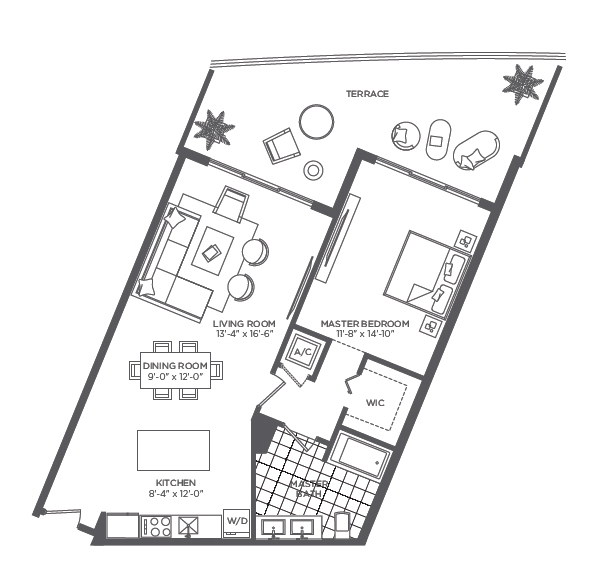 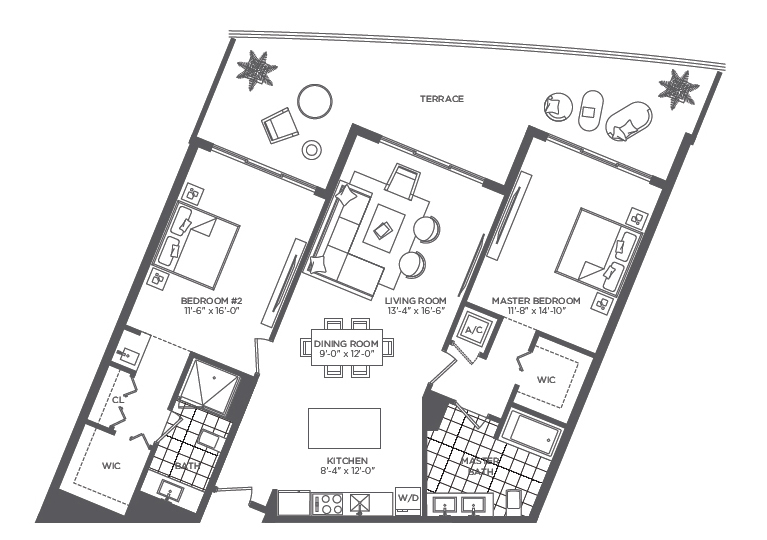 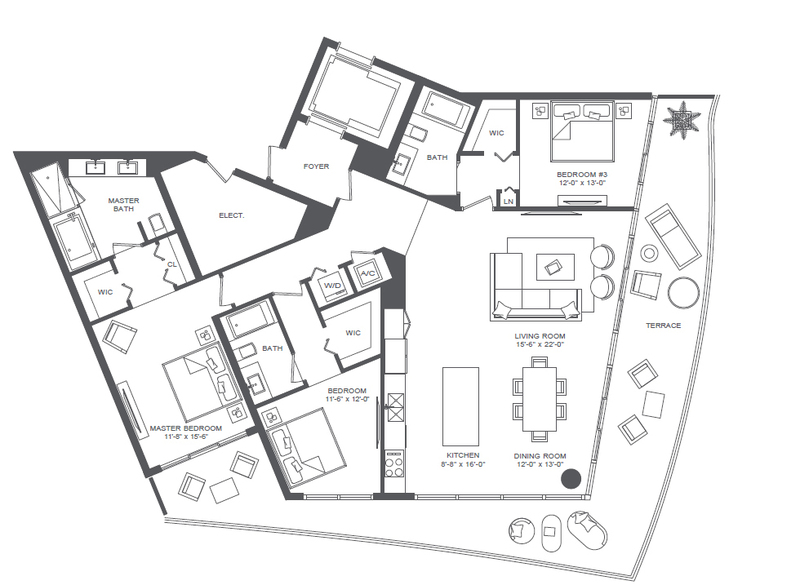 Not all suites are configured exactly as floor plans depict.